I know similar questions have been asked about lua*tex speed in years past. But now it's 2015, and according to wikipedia, lua*tex is the designated successor for pdf*tex. my hopes for lua*tex is that it becomes the one tex to rule them all. A modest speed penalty for more capabilities is expected. My first sample document is 20 pages and tabular heavy. It takes about 1.3 seconds on pdflatex. It takes about 8 seconds on lualatex. a factor 6 speed penalty seems too heavy to suggest that lua*tex will be the one-size-fits-all solution. do I misunderstand the goal of lua*tex as a universal successor to pdf*tex? is the speed disadvantage likely to diminish dramatically or will it stay this way? PS: maybe it is possible to delay the worst speed penalties for more features until the extra features are actually used? I think lua*tex takes a lot of time loading the mathdesign fd fonts that pdf*tex does not. I believe the question "which is slower" depends on more than just the preamble. As you noted, it may make sense to postpone speed penalties until they are actually used. This answer is just a partial answer within my scope and interest, so you may need further input regarding the "factor 6 speed penalty" for your example preamble. The outcome is the same for both pdftex and luatex, but (on my ancient system), pdftex requires 65 seconds to compile the picture whereas luatex requires 21 seconds (a factor of 3). More optimizations of that sort are likely to follow. If some parts of the PGF backend engine where ported to luatex, the example's runtime would be considerably faster - the remaining part of the luatex runtime is due to plain old TeX code which takes its time. 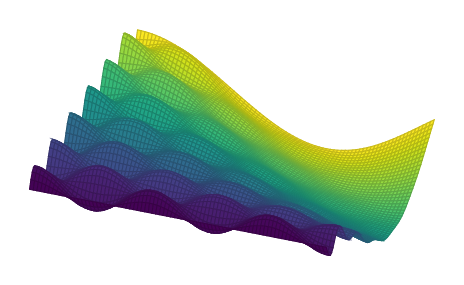 So, my partial answer is "If you make use of pgfplots, lualatex can provide much more speed in texlive 2015". Some details for those who want to benefit from the improvements: the example benefits from lua because compat=1.12 (or newer) enables a special lua backend; a partial reimplementation of many expensive sub-operations in lua. The lua backend is a partial implementation. If it is unavailable for some input option, the file's .log file will always indicate that it fell back to the TeX implementation (and why). Something else occurs to me: there are packages which are plain unavailable for pdftex: I am thinking of the excellent graph drawing library of PGF. This is not quite related to the question (which is more about speed), but still: luatex has left its "message" when it comes to advantages for end users. For comparison, in ConTeXt the penalty is similar. Macbook Pro with ConTeXt standalone. Note that this is not an apples to apples comparison because ConTeXt MkII (pdftex) uses Type 1 Latin Modern as default font and ConTeXt MkIV (luatex) uses OpenType Latin Modern. Note that, for small files, the startup time dominates the runtime. In my case, the speed difference was entirely attributable to the microtype package. shows a factor 3 speed difference. some other features of my document (probably tabulars) managed to worsen this by a further factor 2 for a total slowdown of factor 6. 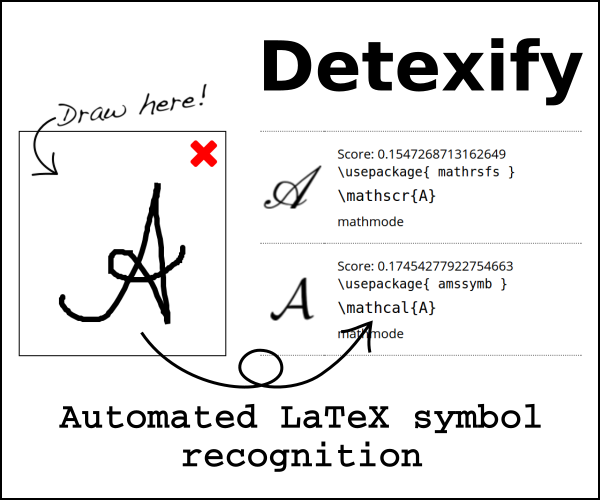 The LaTeX file generated by this program runs in 4.3 seconds in pdflatex and 13.1 seconds in lualatex. this difference seems quite acceptable. not yet where we should discontinue pdflatex, but well on the way to a universal replacement for pdflatex. thanks everybody. Not the answer you're looking for? Browse other questions tagged pdftex luatex performance or ask your own question. Do the online LaTeX compilers use a TeX daemon to speed up their compilation? Compilation Speed - texlive 2017 slower than 2015 - How to profile?